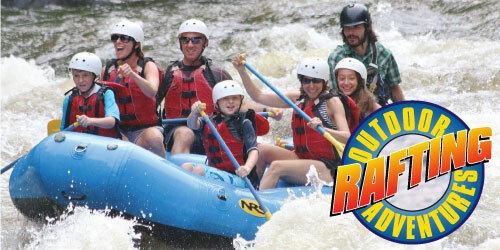 $10 off Regular Rafting Prices at Outdoor Adventures. Enjoy rafting on the exciting Pigeon River, guaranteed to be the highlight of your vacation whether this is your first time or you have experience. We offer the closest rafting to Gatlinburg, Pigeon Forge, Sevierville, and Knoxville.